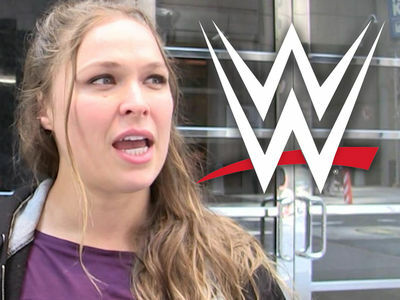 Suicide prevention is a huge issue for Ronda Rousey -- both her father and grandfather took their own lives -- which is why she's so passionate about helping to open a new suicide prevention center in L.A. The WWE superstar -- along with Melissa Rivers -- held a big event Thursday outside the building where the new Didi Hirsch Suicide Prevention Center will open on Feb. 22. Ronda and Melissa stressed the importance of having a massive sign on the street -- to inform people struggling with suicidal thoughts that there's a place where they can go to get help. The big message Ronda was pushing on Thursday was eliminating the stigma surrounding mental health -- so that more people feel comfortable reaching out for help. 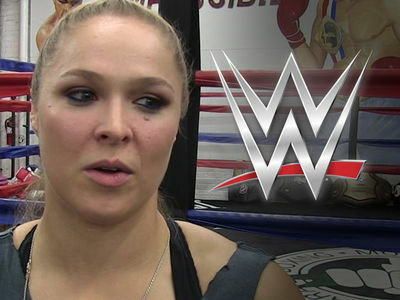 "My message that I would give is reach out don't tough it out," Ronda told TMZ Sports. Ronda has worked with Didi Hirsch Mental Health Services for years -- and was the recipient of the org's Erasing the Stigma Leadership Award in 2014.